What do you think of Ellen as the Fourth American Idol Judge? I have to say that when I heard the news that Ellen DeGeneres was taking over Paula Abdul’s seat on American Idol Season 9 I was very excited. I am personally a big fan of Ellen’s and have been for so many years. There are lot of people who are not as excited wondering what will she bring to the show being she does not have a music industry background. There are a lot of good points being made from both sides. I just think she will give the show a fresh feel, bring some humor and a well needed change. I am was not crazy about Kara DioGuardi being brought on last year and I am not a huge fan of hers. For some reason she annoys me – I think it is her mannerisms. I thought having her and Paula was overkill and not needed. So will having Ellen be overkill as well? Nah. I think she will bring the perspective of the everyday person who buys the music. She will be our voices and look at judging as we would if we were in that seat. Even though she does not have a music industry background per say – she knows a lot about it. I also think it is great PR for the show – I think she will bring in a new audience and a lot of her followers that maybe did not follow American Idol before. Well I guess this will be a wait and see kinda thing for those who are unsure. The new season will air January 2010 and I think there will be a lot of people tuning in to see how this will all turn out. I will tune in because I never miss American Idol and I am excited to see Ellen and how she will handle Simon. My prediction – This year is going to be one of the best yet. Stop by my Squidoo page – American Idol Season9 and take a poll about what you think of Ellen as the new judge. So goodbye Paula you will be missed – but something tells me she will appear in some way on the show as well. So like I said I was doing some cleaning of my Squidoo Lenses and I turned my focus to all my Littlest Pet Shop Pages. I have 3 of them: Littlest Pet Shop Toys and Gifts where you can find all the latest in Littlest Pet Shop Pets, Games, Bedding, Crafts, Books, Playsets and more. My daughter is a big fan of these and I have to say so am I – I really love the little Bobble Head Pets. The hardest thing for me to deal with is how to keep up with them all – there are so many of then and they are constantly making new ones. I did post some great handbooks that allow you to mark off the Littlest Pet Shop Pets you have. I think that is a great ideas for the fans. Then one of my most popular pages is on the Littlest Pet Shop VIPs – these are the plush that comes with a code you can enter online and bring your pet to life in an online virtual world. Now I must say this one took the longest to clean up and it truly is now your Ultimate Guide to Littlest Pet Shop VIP Pets. There is nothing else out there like it. I have added all the current and new Littlest Pet Shop VIPs on. I was also very surprised to find so many I had never seen before. MY daughter has two of these guys and loves them – she just got a cat a couple of weeks ago. New to me are the Littlest Pet Shop Surprise Pets, Littlest Pet Shop BFF’s and Friends. So if you are shopping for a VIP then you must stop by my page to see all of the choices available to you. Now of course I also have a Littlest Pet Shop Birthday Party Page as well. 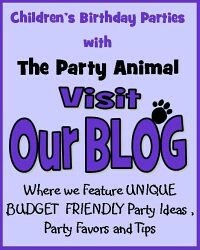 Where of course you will find everything you need to pull off this party theme. So if a party is in your future and Littlest Pet Shop is the theme then stop by and see all the goods. So I think I am done updating for the day – it is Sunday and I should really be relaxing. This is the problem with working from home – your work is always here and it is so easy to just get online and go. Maybe I need to set some hours for myself? I will have to think about that one.